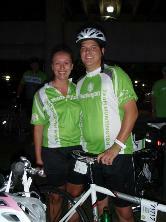 It's our 10th year riding in Pelotonia! Annie and I will be riding a 45 mile route from Columbus to New Albany. Every donation helps!